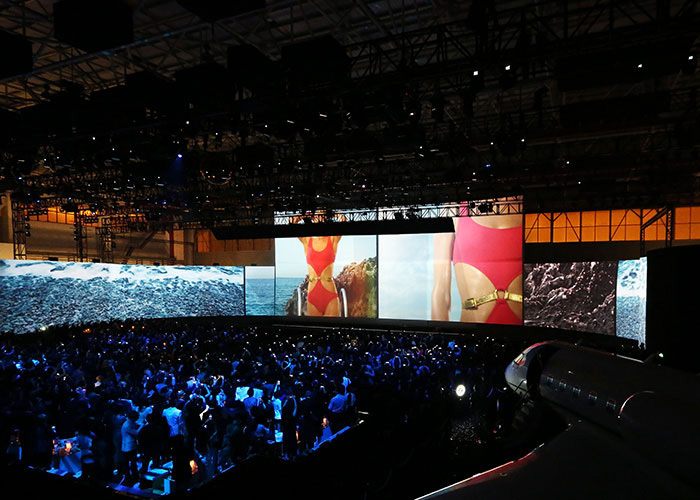 Huge projection screens, a flamboyant venue and an eclectic music scene set the tone at The Michael Kors Jet Set Experience. 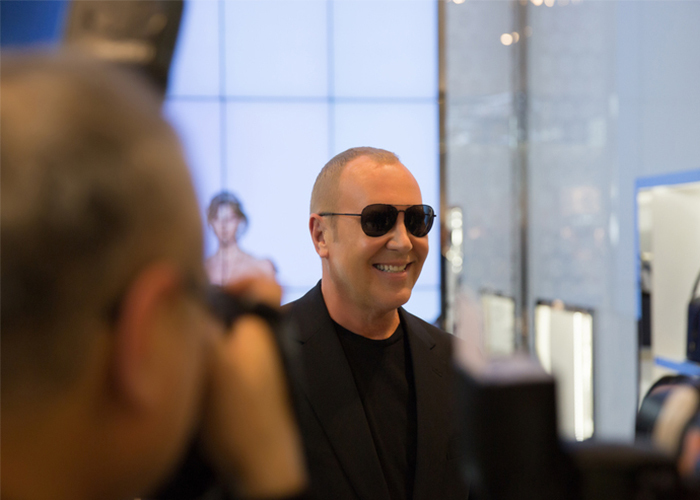 Celebrating the launch of the brand’s first China flagship store at the Jing’An Kerry Centre in Shanghai, Michael Kors conjured a never-before-seen runway show featuring his signature Jet Set Collection. 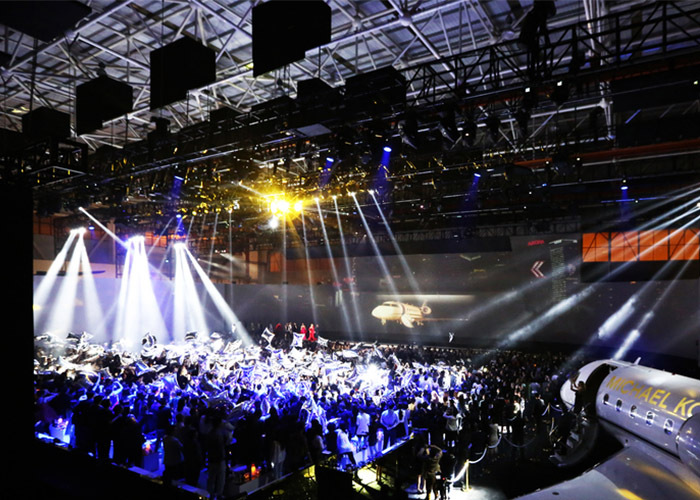 The jet hangar at Hongqiao Airport flipped into a glamorous location, as over 1,000 V.I.P guests poured in, to experience the swanky soirée. 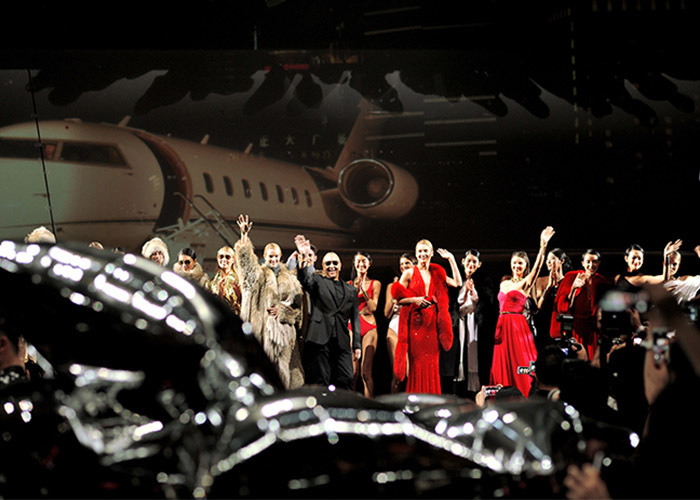 A one-of-a-kind experience was the MK360 app released by Michael Kors, giving fans access to the Jet Set Experience. 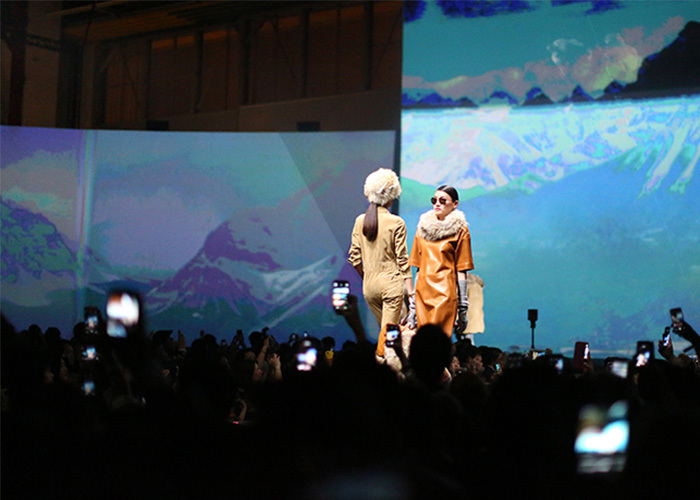 The interactive 360 degree video let one pan around, choose a focus, and situate themselves anywhere in the event. Fancy! 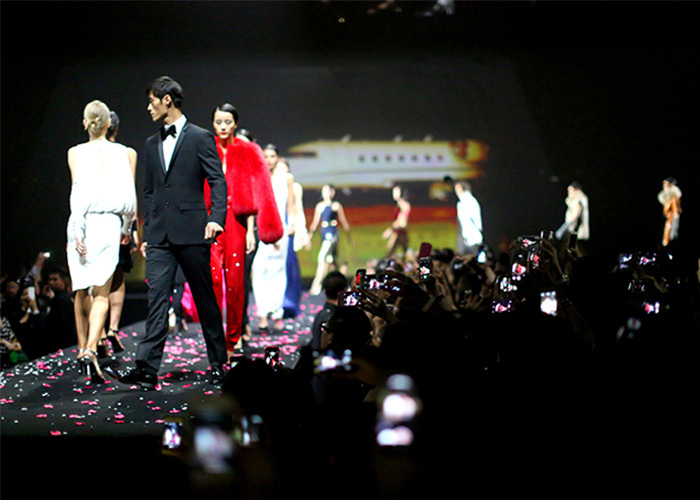 Massive strobe lights, a gleaming private jet and models patrolling the ramp – all part of the Michael Kors artistry – translated into a mesmerising experience.